The campus is just the right size. Not too big, not too small. I immediately felt at home with CAFES and UWRF. UWRF has a small town atmosphere, yet is close enough to the Twin Cities to be involved in big city life. 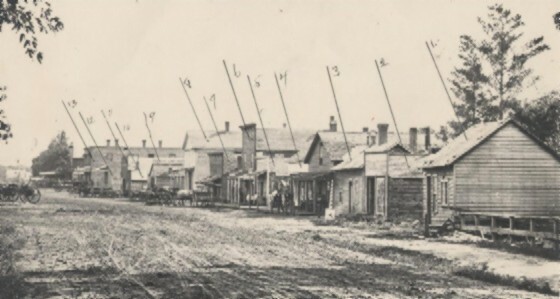 River Falls and its homey, college town atmosphere has come a long way since this photo was taken of Main Street in 1870! This was before UWRF even existed (the college was founded in 1874)! What are those numbers? Click for the list of building names that correspond to the numbers in the photo.